Planning for the day you leave your business is a worthwhile investment. Whether you decide to sell up, retire or need to leave the business due to ill health, it is important you spend the time with your business partners and/or family and plan what you're going to do. A good succession plan enables a smooth transition with less likelihood of disruption to the business operations. 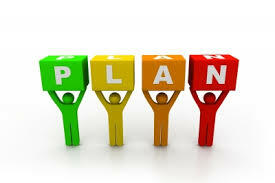 By planning your exit well in advance you can maximise the value of your business and enable it to meet future needs. Utilising the skill and knowledge of experienced advisors can help you through the process. Through Prova, we can assist you to define your succession objectives, identify possible successors, provide templates and information to assist you to develop your succession plan and assist with negotiating your desired outcome if the need arises. Initial consult. Meet with a Prova Advisor to discuss your personal needs. Consult with a team of professionals including financial and legal advisors to round out your management team to ensure a smooth transition when you exit your business, and help with your estate and retirement planning. Start vetting candidates for the role as soon as possible, and above all else, ensure they have one extremely important quality: a passion for your business. Step three - Identify your succession objectives. Understand your business succession needs and why they are important to you; your business objectives, impacts of business succession on personal lifestyle, and key people in your business. Your written succession plan typically covers five to ten years up until the transfer of ownership, and should outline the various positions, expectations and responsibilities the successor will fulfill. Your plan should also include a timeline detailing when you plan to retire, transfer the ownership of the business, and hand over voting rights to your successor. Remember: your succession plan isn't final. It can be re-visited and modified during the period before the transition dates take place. Identify your trusted group of professionals and non-competing mentors that will be used to advise the current management and future successor during the transition period. Their purpose is to help the new management with any and all aspects of the business to make the transition as smooth as possible for all involved. The final step in the succession planning process is to begin the exit strategy itself, and it starts with making an official announcement of the date you plan to transfer operating control to your successor—typically 12-18 months from the actual transfer date. The exit strategy involves transferring all ownership and voting rights over to the successor, as well as initiating your new plan to continue your standard of living based on a retirement plan. Copyright © 2013 Prova Pty ltd.